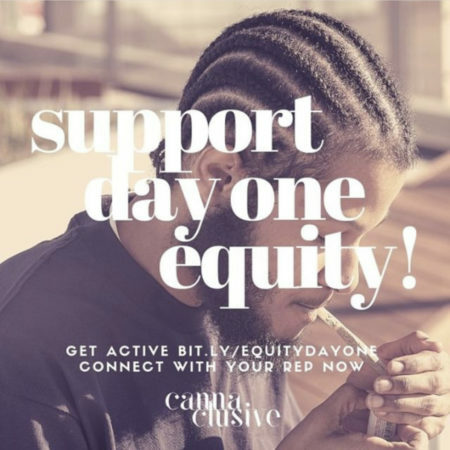 Equity First: The Fight For Capital & Access For Minorities In The Cannabis Industry - High. How Are You? New York State is set to legalize cannabis for recreational adult use in 2019. New York will be the 11th state with legal marijuana beyond medical use and the second largest cannabis market in the nation. Although this is a huge win for the cannabis industry industry, there is still a fight to make sure the communities disproportionately and negatively affected by prohibition, have first dibs on access to business licenses, jobs and capital in the new legal market. Unlike the gold rush, industrial revolution and the dot com boom, the cannabis industry is one of the few industries in history where women, and minorities can get in while its still pretty early and create a financial lane for themselves. However, while there is a lot of opportunity, the bar for entry can be high. 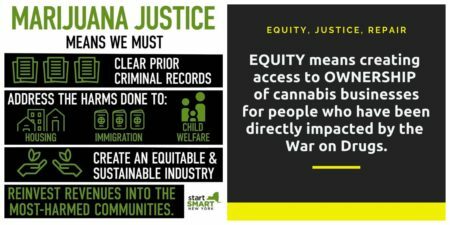 There is a push from cannabis activists for ‘Equity First’ legislation. What that means is pushing for accessible business licenses and grants for Black and Brown entrepreneurs, job opportunities within the industry, the full expungement of felony and misdemeanor records for non-violent marijuana offenses and for a percentage of state tax revenue from legal sales to be re-invested into the communities that were the most negatively impacted by prohibition. This includes Long prison sentences, Drug-testing at employment screenings, and Black mothers having their children taken from them. That is not something state governments are just going to give into very easily. It’s something that Black and Latinx communities are going to have to fight for. Cannabis inclusivity groups like Cannacultural, Cannaclusive, CageFreeCannabis, Harlem Business Alliance and Minorities4MedicalMarijuana are fighting to ensure that Black and Brown people have premier access to the industry. These organizations hold events throughout the city galvanizing people of color to sign petitions, contact their state representatives, and have chartered buses for travel to lobby at the state capital. 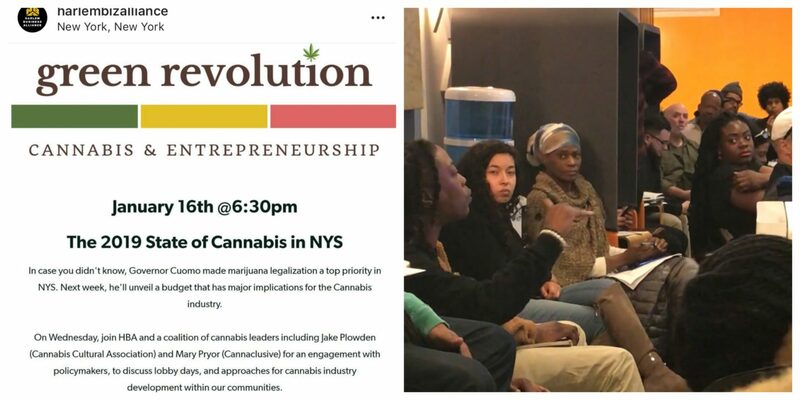 Minority cannabis activists are demanding that New York State legislature prioritize socio-economic equity initiatives before they finalize what legalization will look like for New Yorkers. The legal roll-out of recreational weed in other states such as Colorado and California, have fumbled equity programs. According to the Pew Study for Research, San Francisco has a long waitlist of applicants for minority owned small business licenses and the city doesn’t expect to approve businesses until sometime in 2019. Many are arguing that the waiting period has allowed other businesses and corporations with more access to resources, are getting an unfair head start. Some cannabis business owners in Oakland that were scheduled to reap equity benefits have claim their incubator partners failed to follow through on promises made to provide them with business development assistance or a space to operate. 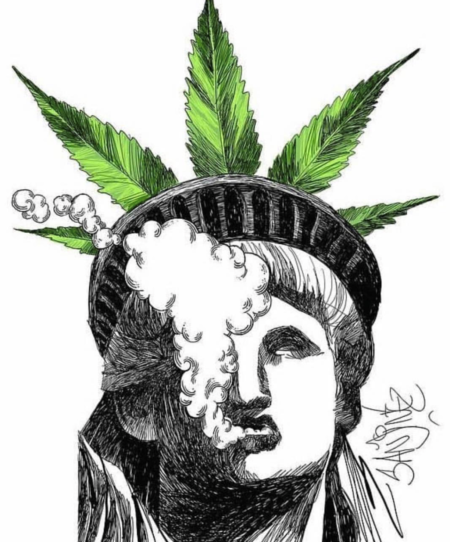 With legalization only months away, New York has the potential to be a model of how other states prioritize equity in cannabis legalization efforts. 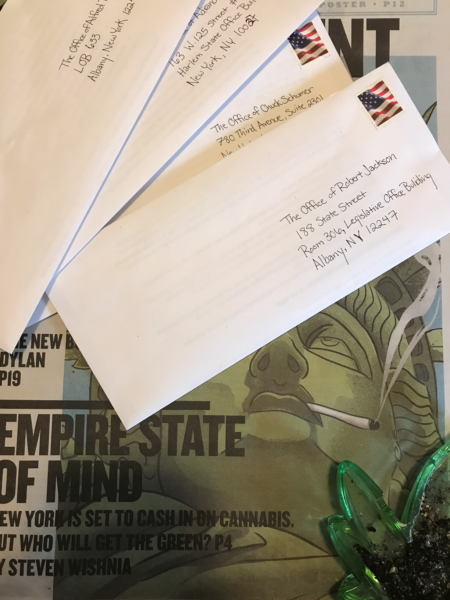 Download Letters From Cannaclusive, Mary’s List, HumbleBloom, and The People’sDispensary send to your assembly person or state representative. Come To NORML’s Open Meeting on February 28th to discuss legalization efforts so far and what still needs to be done. March Straight To The Capitol (via free bus transportation) by signing up here to lobby your state representatives directly.